For nearly 300 years, the Newbold-White House has stood the test of time. 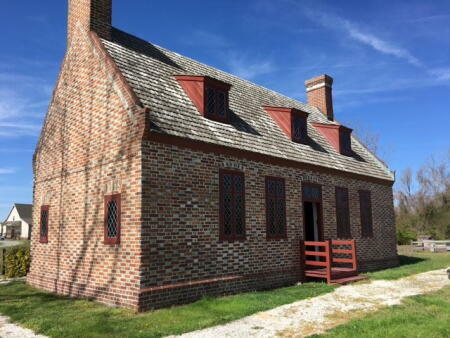 The oldest brick house in North Carolina, according to the North Carolina State Historic Preservation Office, was built in 1730. Joseph Scott was the first owner of the property and was likely English, according to the Perquimans County Restoration Association website. In 1726, Abraham Sanders purchased the property, the website adds. 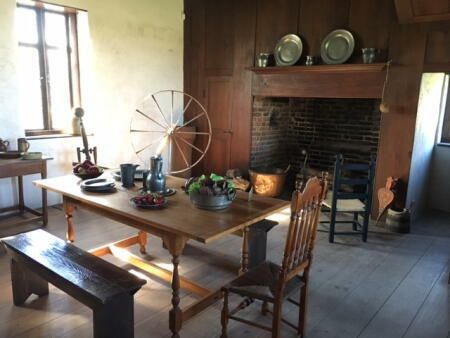 “This house and the house before it with the Scotts is where North Carolina began,” said Philip McMullan, immediate past president of the association. Today, the house is supported by the Newbold-White House Endowment at the Northern Albemarle Community Foundation (NACF). The NACF is an affiliate of the North Carolina Community Foundation. “It’s a classic what they used to call a hall and parlor type of building,” said Sandy Stevenson, current president of the association. The brick and original woodwork are in fantastic condition, he added. The association has a list of Sanders’ possessions from when he passed away. The house doesn’t have any original furniture, but the association is in the process of recreating the inventory, Stevenson said. The association is “recreating what it would be like if Abraham Sanders would have invited you to dinner,” he said. 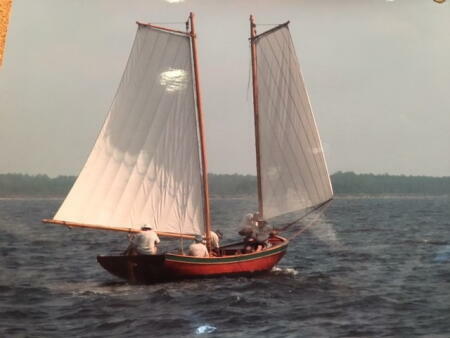 The association also has a replica of a periauger boat, which was considered the farm truck of the 1750s, McMullan said. Although today visitors arrive at the Newbold-White House by car, in 1750, almost everybody would have arrived via boat, Stevenson said. The property has strong Quaker connections. Both Scott and Sanders were Quakers, according to the association website. George Fox, founder of the Religious Society of Friends, preached at Scott’s house in 1672, the website adds. 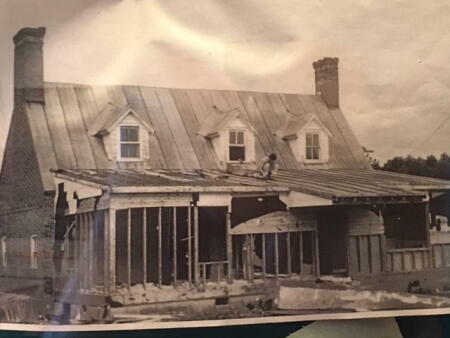 The Perquimans County Restoration Association was formed in 1969 to restore the house, which was opened in 1981. The house was listed on the National Register of Historic Places in 1971. About 750 to 800 people visit the historic house a year, Stevenson said. Agency or organizational endowments, such as the Newbold-White House Endowment, enable nonprofits to establish funds for their perpetual financial support. This helps nonprofits with financial security. When McMullan was president of the association, the nonprofit established an agency endowment with NACF. In addition, the Henry and Elizabeth Stokes Newbold-White House Endowment, also held with the NACF, supports the house. Stevenson highlighted the investment advantages of housing an endowment with the NCCF. It offers a larger-scale investment approach without larger fees. Natalie Jenkins Peel, NCCF regional director of the northeast, said the Newbold-White House demonstrates the importance of historical preservation. “The Perquimans County Restoration Association has given this region a tremendous service with their visionary planning to protect and preserve our history in northeast North Carolina,” she said.